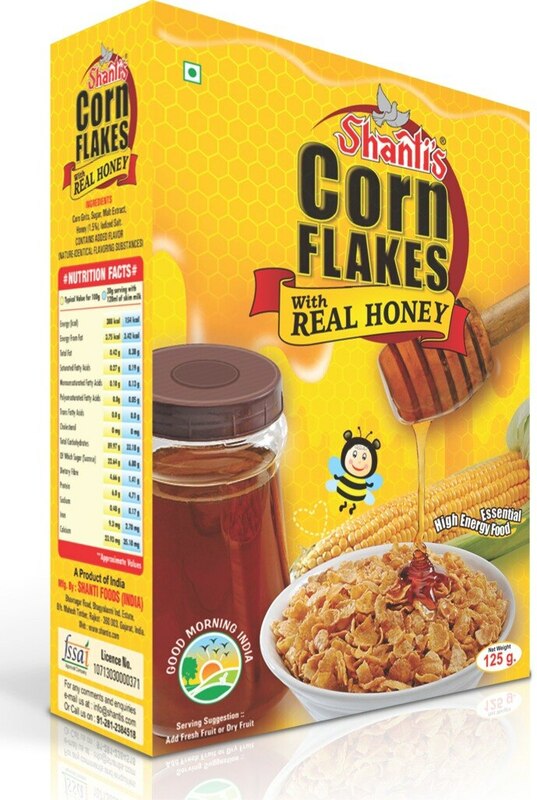 Honey Corn Flakes in Rajkot, India from SHANTI FOOD CHEM PVT. LTD.
Shanti’s Honey Corn Flakes are produced from Selected Raw Material Like Corn , Sugar, Salt, Malt Extract and coated with “Real Honey”. Honey Corn Flakes is Delicious when Served with Milk at Breakfast Or at any Time of The Day.